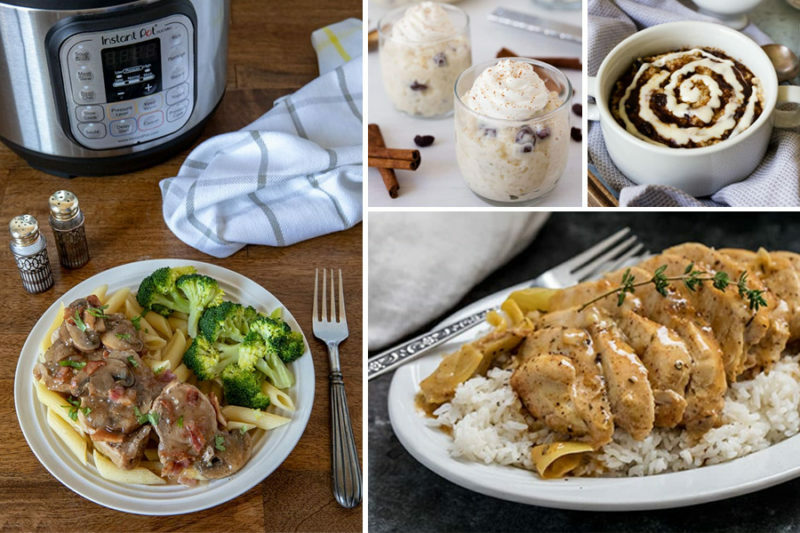 These gluten-free Instant Pot recipes can be made in any brand of electric pressure cooker. 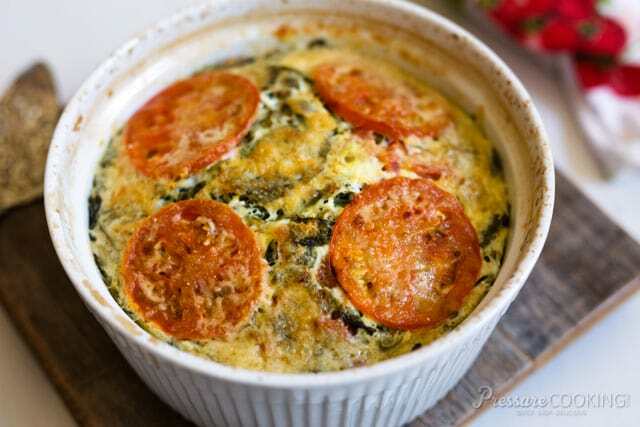 These amazing breakfast, lunch, dinner, and dessert recipes are packed with flavor and feature a variety of cuisines to make sure you’re eating gluten free and are never bored at mealtime! I frequently get requests for gluten-free recipes for the Instant Pot or electric pressure cooker. While I don’t eat gluten-free, I have friends and family who do. Making food from scratch is a great way to ensure your food is gluten free. Plus, when you make gluten-free food in your Instant Pot or other brand or electric pressure cooker, you save a ton of money compared to packaged gluten-free foods. I’ve put together a list of over 30 of my favorite gluten-free recipes. I included recipes for breakfast, lunch, dinner, and dessert, both from my website and from some of my Instant Pot friends to ensure you’ll never get bored eating gluten-free. Those of you who eat gluten free likely already know most of this information. However, if you don’t regularly cook gluten-free meals and want to cook for friends or family members who eat a gluten-free diet, there are a few things you’ll need to know before you get started. In this roundup, I’ve tried to feature recipes where there are readily available gluten-free ingredients. Do you eat gluten-free and have any ingredient recommendations? How do you incorporate your pressure cooker into your gluten-free diet? Let me know in the comments! These gluten-free recipes are packed with flavor and feature a variety of cuisines. This roundup includes recipes for dinner, sides, breakfast, and desserts to make sure you're never bored at mealtime! 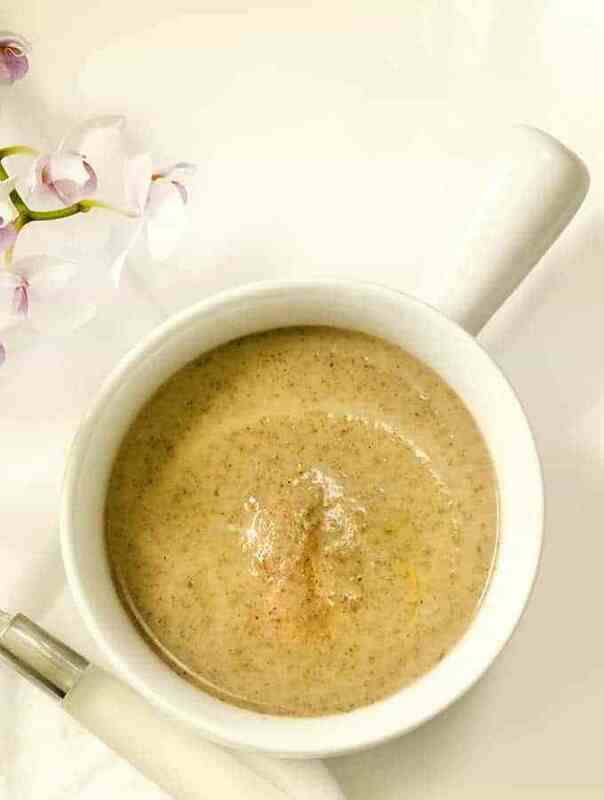 Asopado (also spelled "Asopao") brings a bright, fresh flavor to your gluten-free diet. 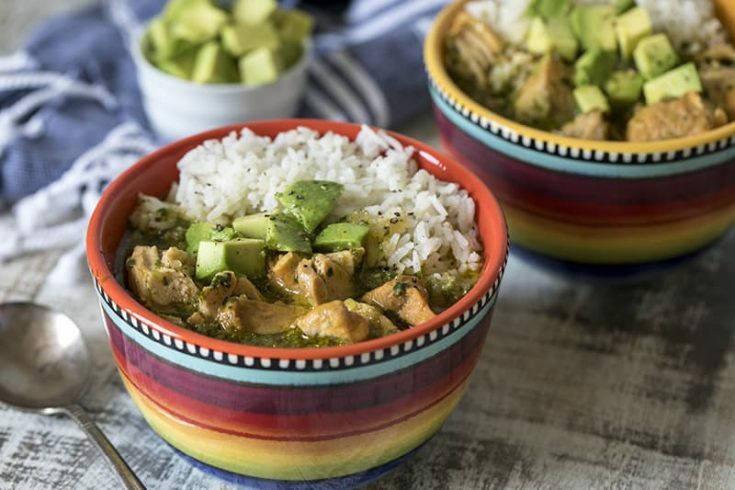 This Puerto Rican chicken and rice stew gets much of its flavor from a sofrito made of a poblano chili pepper, onion, garlic, cilantro, and olive oil. I like to serve it with a hearty scoop of rice and diced avocados. 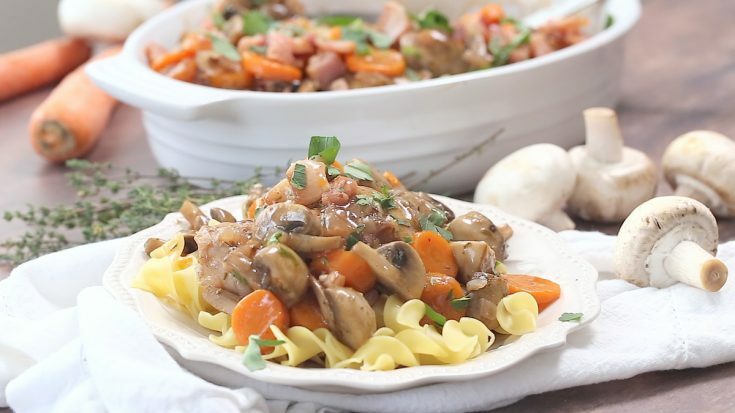 Coq au Vin is a classic French dish made with chicken thighs, onions, carrots, mushrooms, and bacon. I like it best when cooked a day before I serve it. 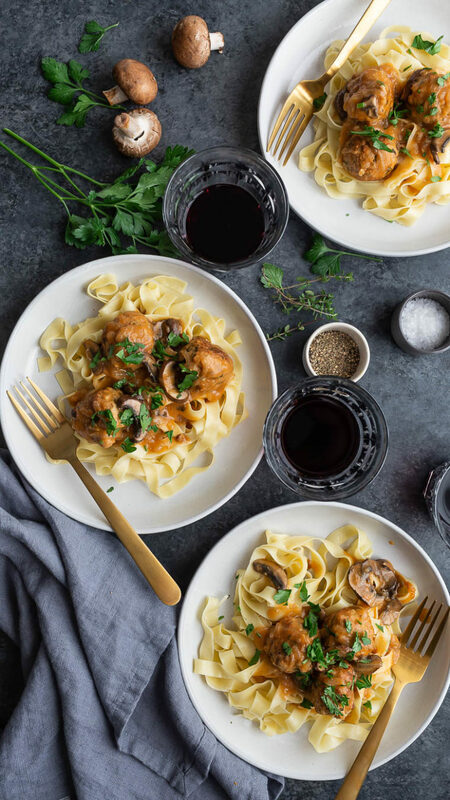 To keep it gluten-free, serve Coq au Vin over mashed potatoes, roasted or boiled new potatoes, or your favorite gluten-free pasta. Serve over rice or gluten free pasta. 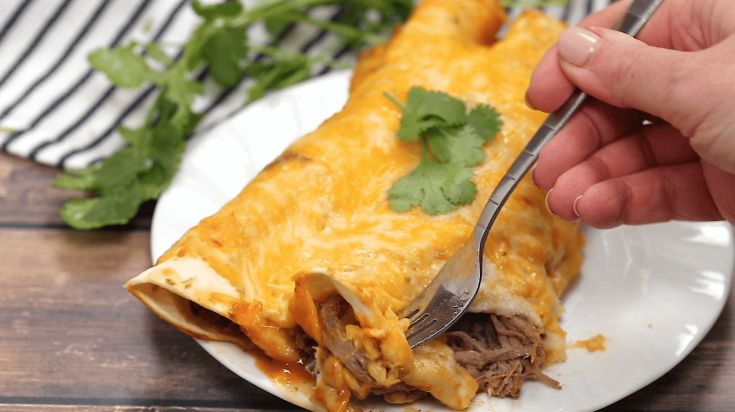 Make this shredded beef in your Instant Pot or other pressure cooker, then wrap in a gluten-free soft corn tortilla, smothered with sauce and topped with cheddar jack cheese. 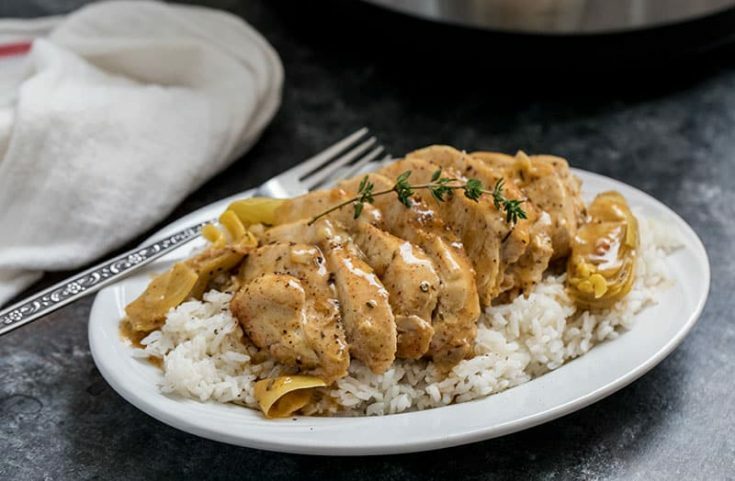 Artichoke chicken is a quick, easy, Instant Pot chicken dinner recipe. Smoked paprika gives this Pressure Cooker Artichoke Chicken tons of flavor as well as a pretty color. 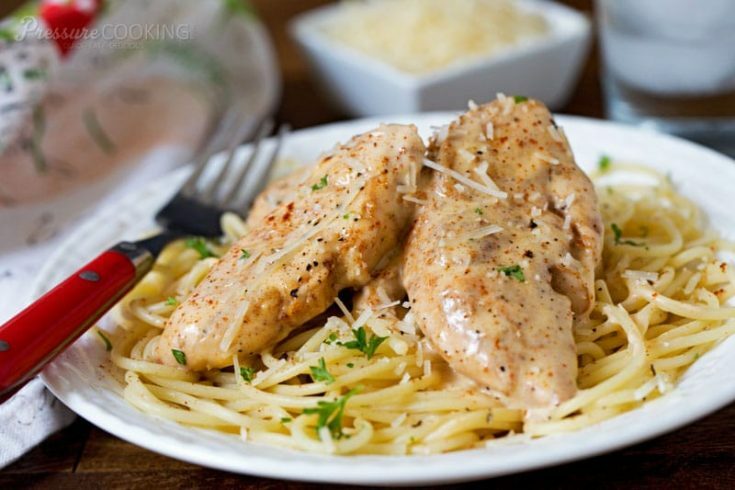 Pressure Cooker Chicken Lazone is fresh chicken breasts, seasoned, cooked, and served with a rich cream sauce. I prefer to serve over spiralized zucchini noodles or gluten-free noodles (my favorite brand is Barilla); however, this flavorful chicken is also delicious over rice or steamed mixed vegetables. 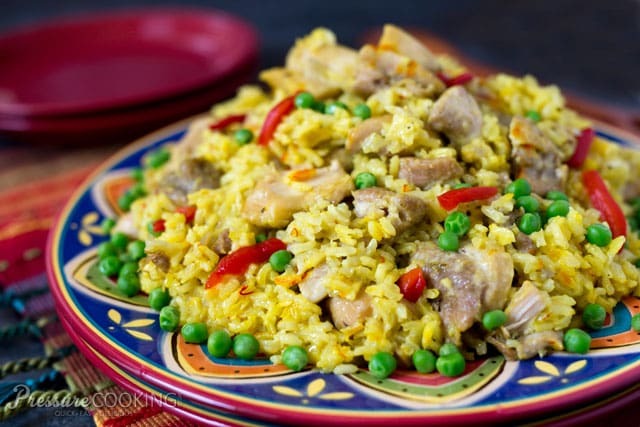 Arroz con Pollo is a fun twist on chicken and rice. This pressure cooker recipe features saffron, which gives the rice its beautiful color and flavor. 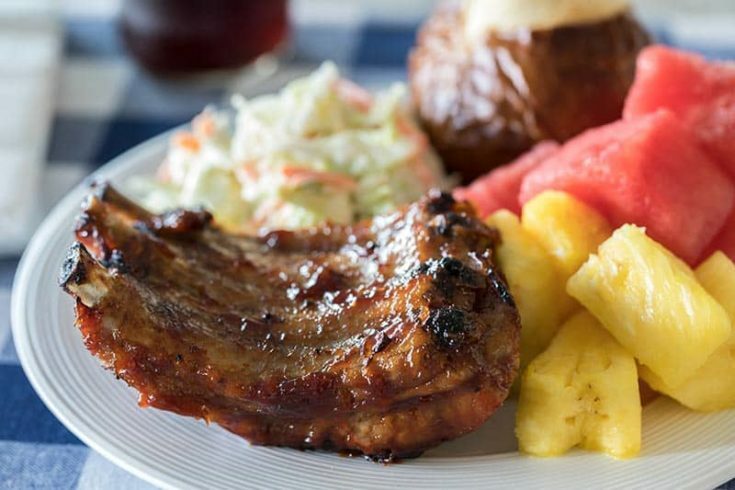 Barbecue Baby Back Ribs cook up tender and juicy in the Instant Pot. Then slather these ribs in a gluten-free BBQ sauce (I love Sweet Baby Rays) and finish them on the grill for a caramelized, delicious summertime favorite. 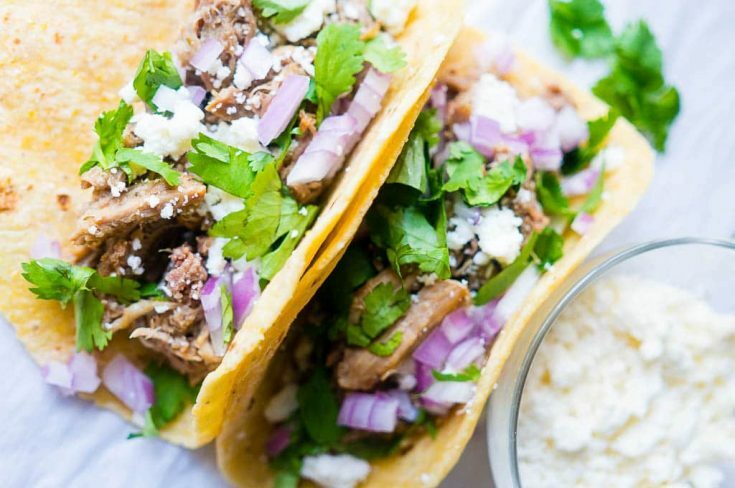 Tender pork and red onions give these Green Chile Pork Carnitas their signature flavor. Be sure to use corn tortillas to keep these bites gluten free. 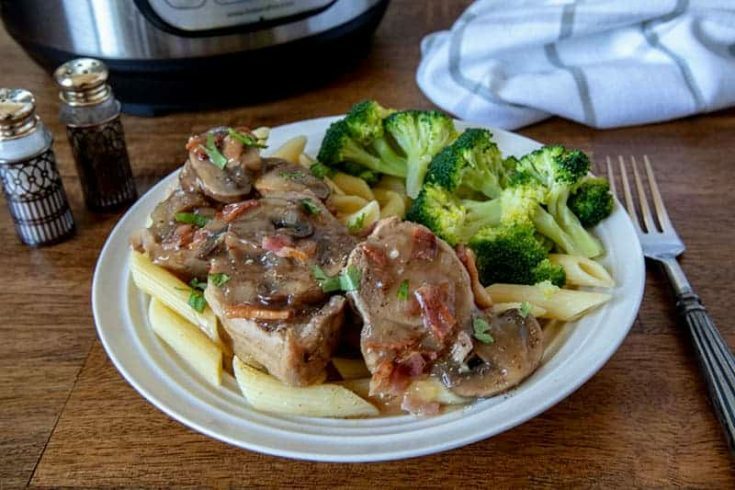 Pork tenderloin is a lean, tender cut of meat, and it's extra tasty paired with smoky bacon and a sweet Marsala wine sauce. Serve over gluten-free pasta, rice, or veggies, drizzled with extra sauce. 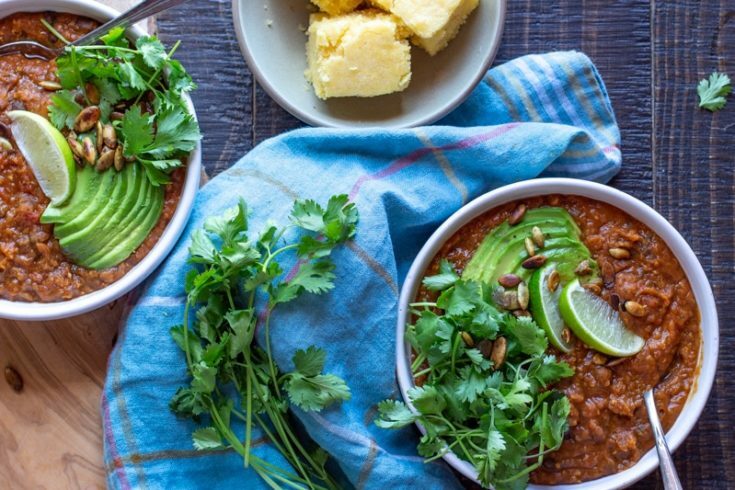 This recipe comes from my friend Jane's Gluten-Free Instant Pot Cookbook. 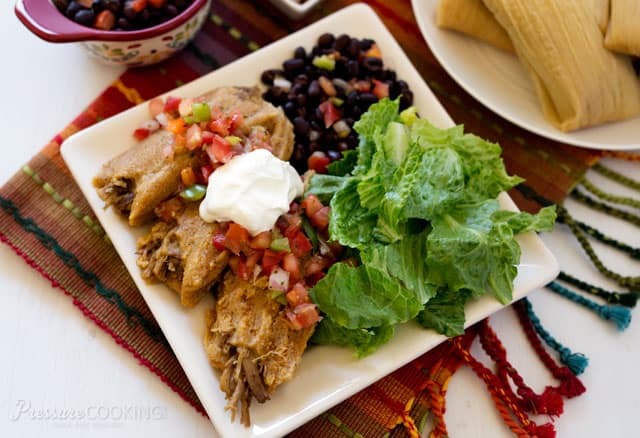 These pressure cooker Pork Tamales are made with a ground corn masa and spicy, tender pressure cooked pork shoulder. Make sure the masa you use isn't blended with or prepared in a facility that also processes wheat flour. I really love Bob's Red Mill brand. 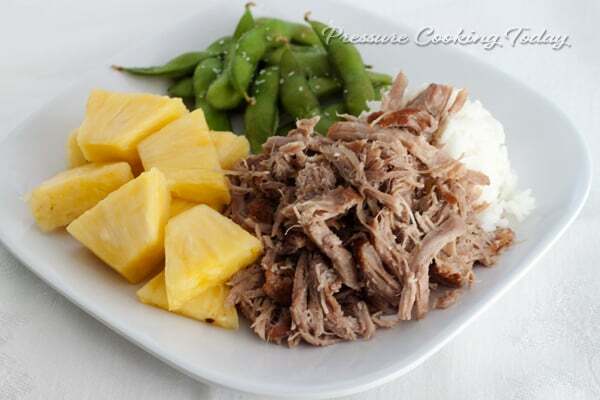 Kalua pork is a flavorful luau favorite with just four ingredients. Plus, this 16-hour gluten-free slow cooker recipe cooks up in just 2 hours in the pressure cooker. Pork sirloin coated in a spicy rub and cooked with apple juice for a perfect spicy-sweet combination. 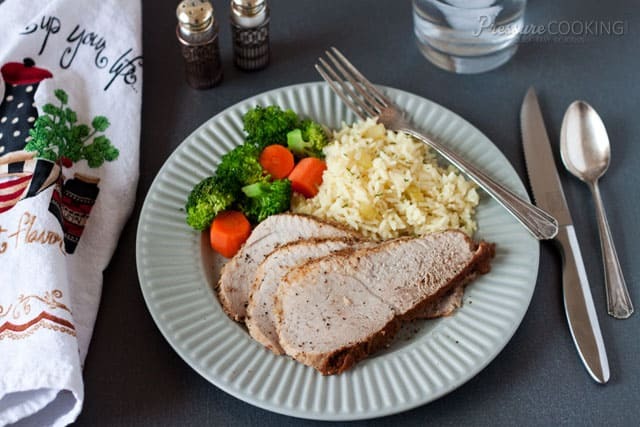 This tender tip roast pairs well with any of your favorite gluten-free sides. 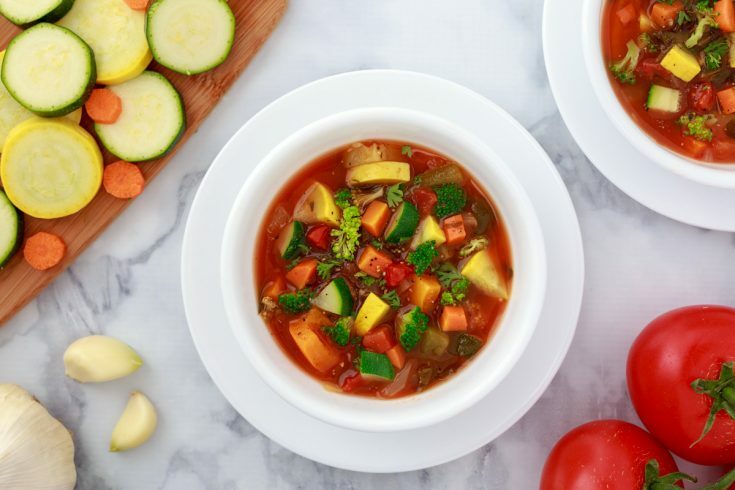 Loaded with fresh vegetables including carrots, broccoli, squash, and spinach, this gluten-free soup is also a zero point Weight Watcher's recipe. This is my favorite gluten-free side dish for Tex-Mex cuisine. 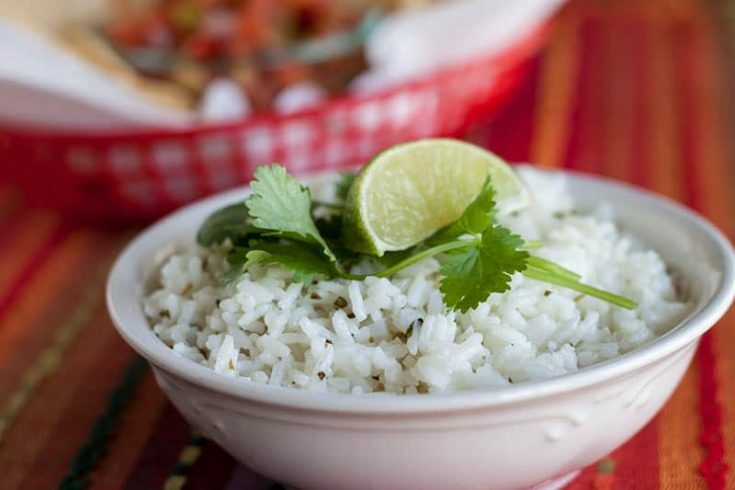 The lime and cilantro give this rice a bright, fresh flavor. 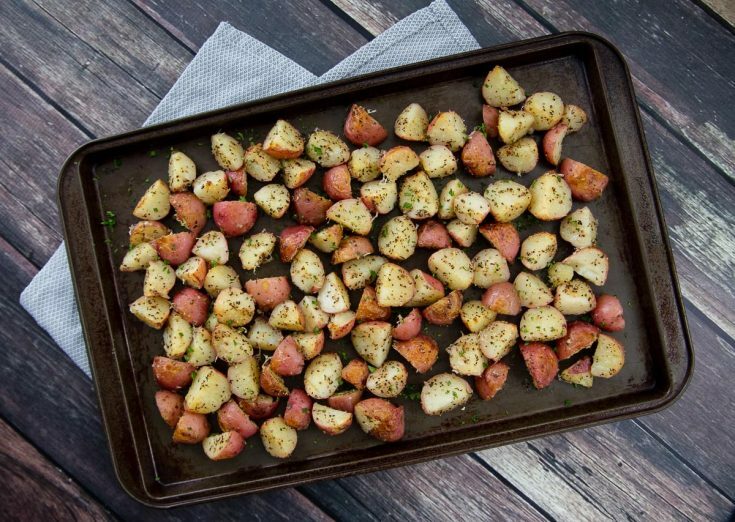 These gluten-free potatoes are tossed in melted butter, garlic, herbs, and Parmesan cheese, and crisped to perfection in your oven. 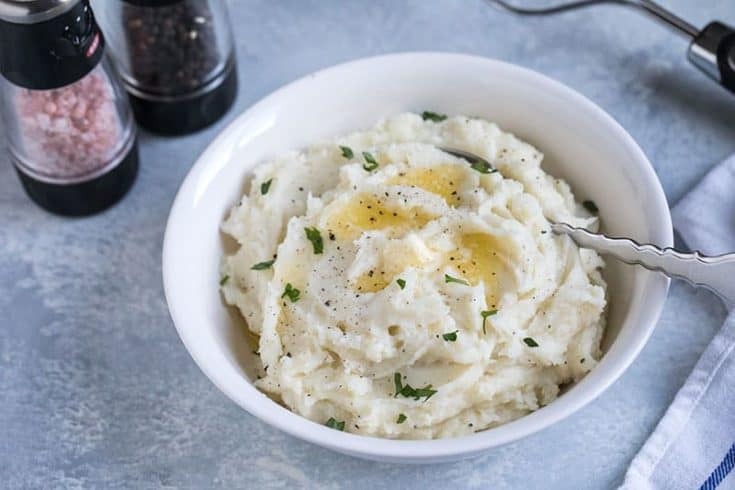 Mashed potatoes are a naturally gluten-free dish that cooks up creamy and perfect in your Instant Pot. 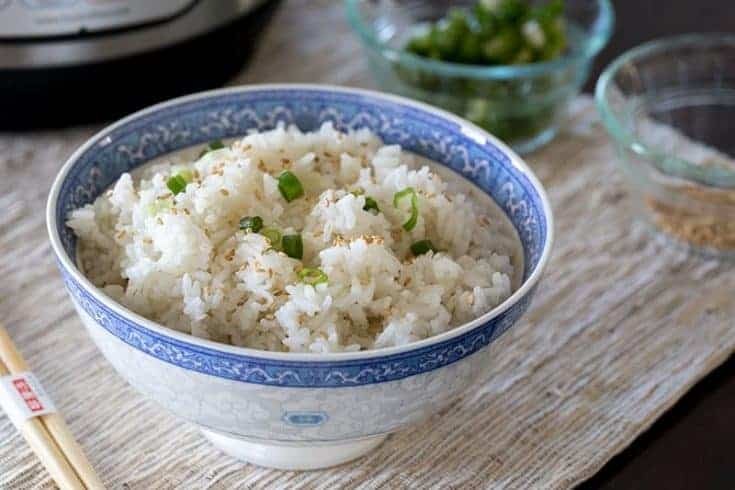 White rice is another naturally gluten-free side. It's a set-it-and-forget-it side dish. The flavor of a cinnamon roll without any gluten. 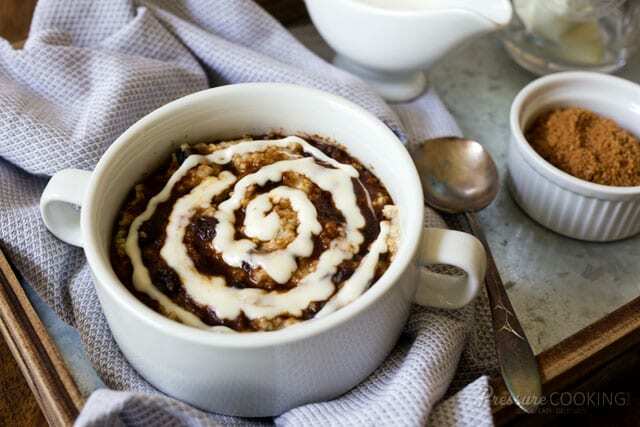 These steel cut oats are topped with brown sugar cinnamon and a swirl of cream cheese icing. This eggy classic "bakes" up light and fluffy in the pressure cooker. This is a healthy and filling gluten-free breakfast. 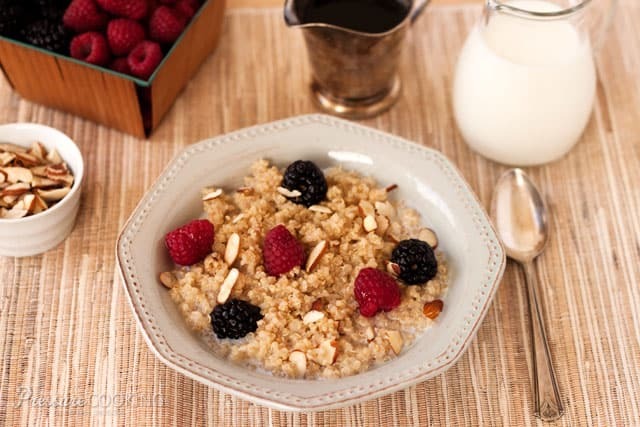 Light and fluffy maple cinnamon breakfast quinoa sweetened with natural maple syrup and served with fresh berries and sliced almonds. 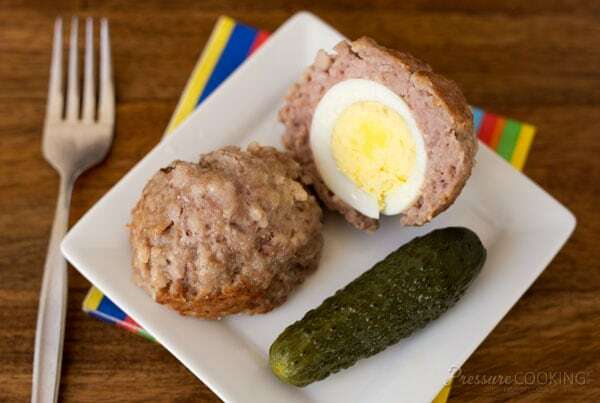 While it might look like muffins, scotch eggs are wrapped in sausage. Cooking in the pressure cooker, you can skip the breading and frying step to keep your breakfast gluten free. Just because you're eating gluten-free doesn't mean you have to give up sweets. 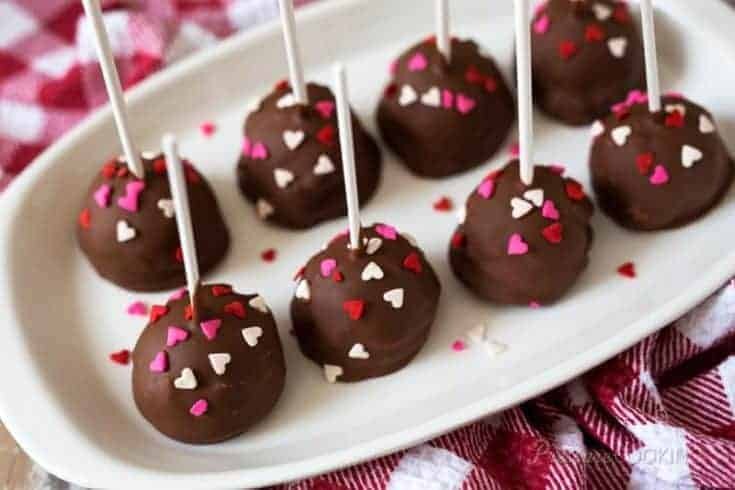 These crustless cheesecake pops are fun to decorate and cook up so easy in your Instant Pot. 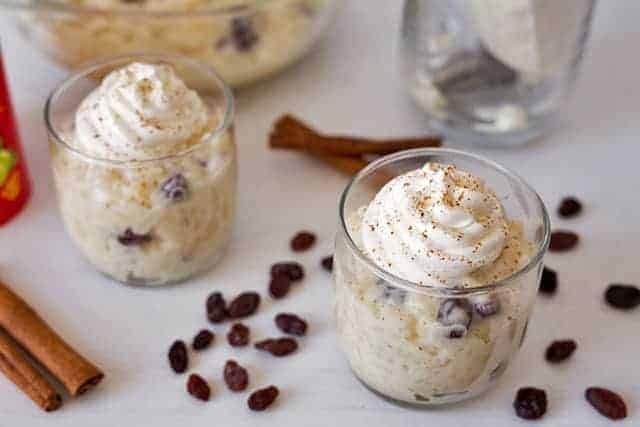 This reader-favorite rice pudding is comfort food at its finest--all without gluten. It's a classic old-time treat you can make a big pot of and snack on over the course of several evenings. 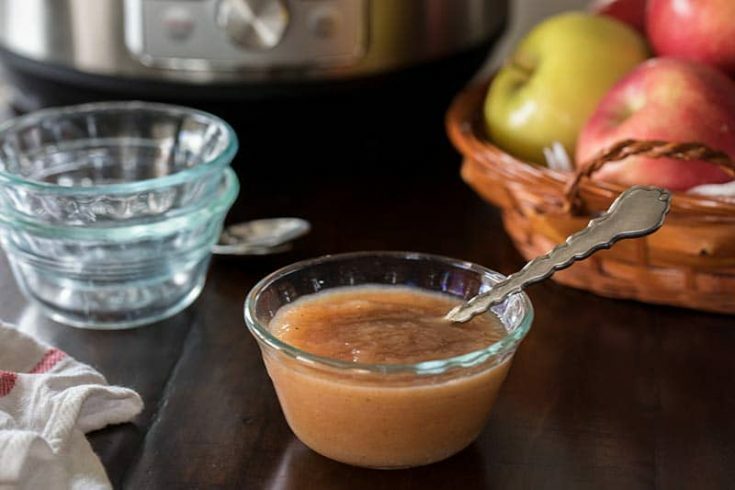 When you're craving something sweet but want less sugar than a traditional dessert, try this pressure cooker applesauce--it has no added sugar and is completely gluten free. 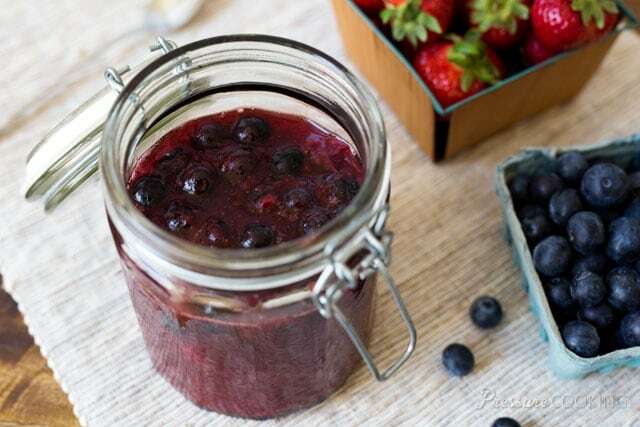 This delicious Pressure Cooker Berry Compote recipe is a great topping for anything from breakfast (steel cut oats or breakfast risotto) to dessert (ice cream or as a base for a gluten-free berry crisp). If you're looking for something to put your berry compote on, my friend Marci has a fabulous recipe. 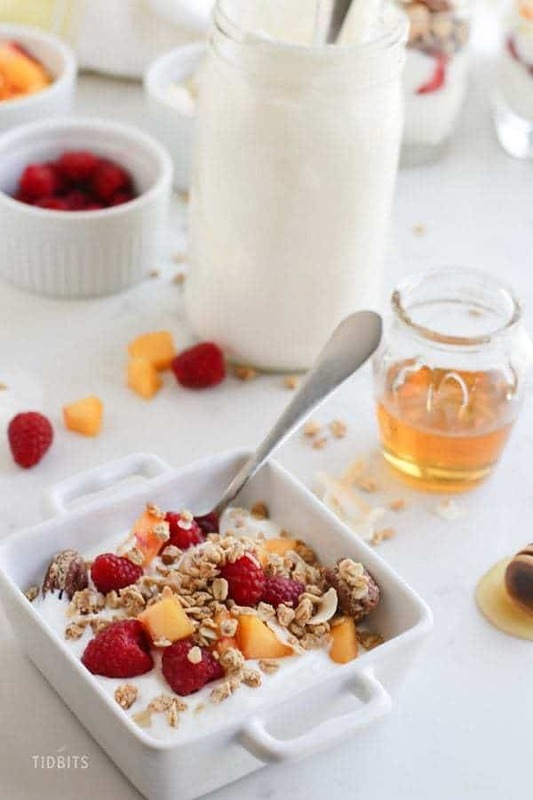 This homemade yogurt is 100% gluten free and uses just two ingredients: milk and a yogurt starter like plain Fage 2% yogurt. My friend Kalyn has a whole section of delicious gluten-free recipes on her site. 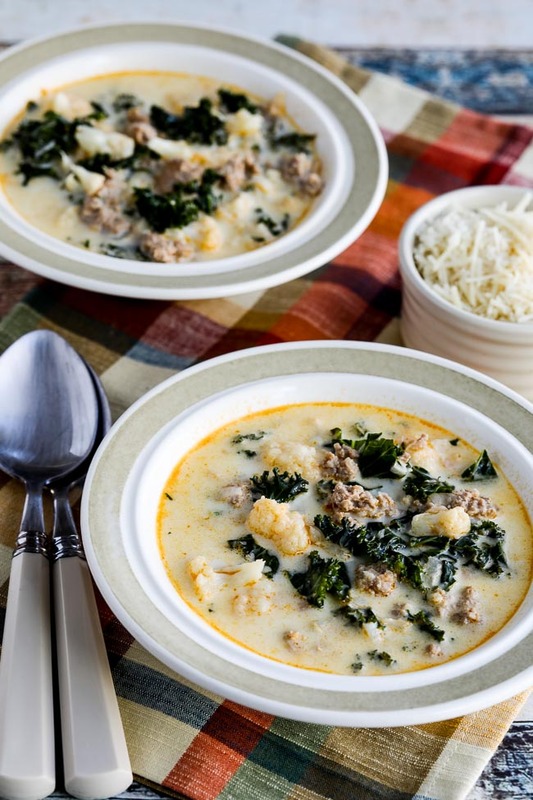 This delicious soup combines bacon and gluten-free Jennie-O sausage into a quick and easy-to-make soup. 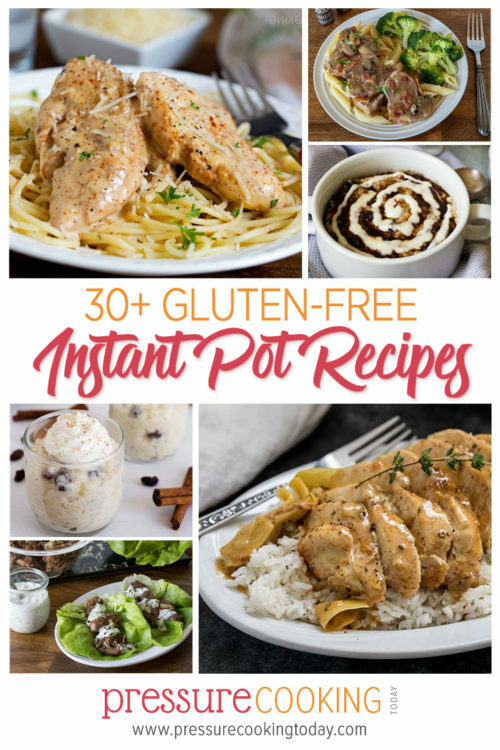 This is another tasty recipe from my friend Jane's Gluten-Free Instant Pot Cookbook. 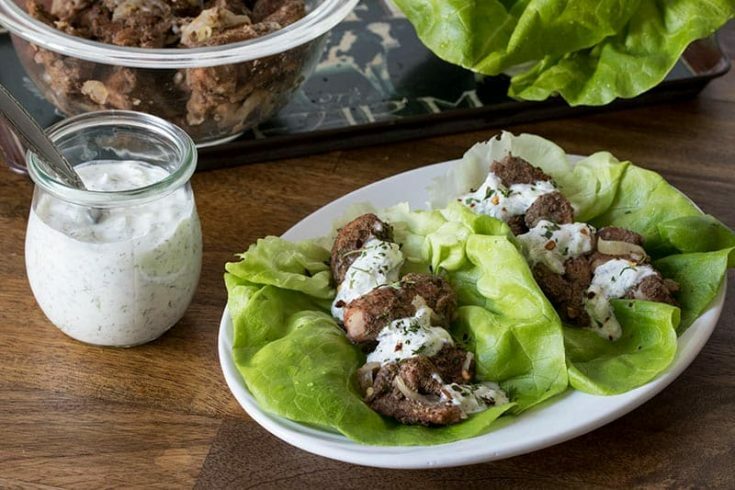 This recipe uses the Jennie-O brand of ground turkey to make awesome meatballs that taste great without the breadcrumbs. While pumpkin seems like an odd ingredient for chili, it gives this soup a creamy texture and rich orange color--without adding gluten! Click over to the recipe for suggestions on gluten-free spice recommendations. 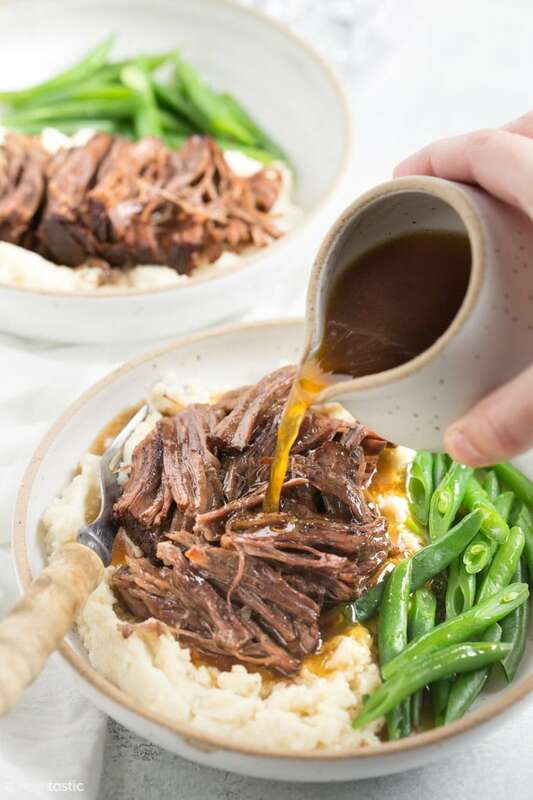 Balsamic vinegar provides a tangy, unexpected twist on a classic pot roast. 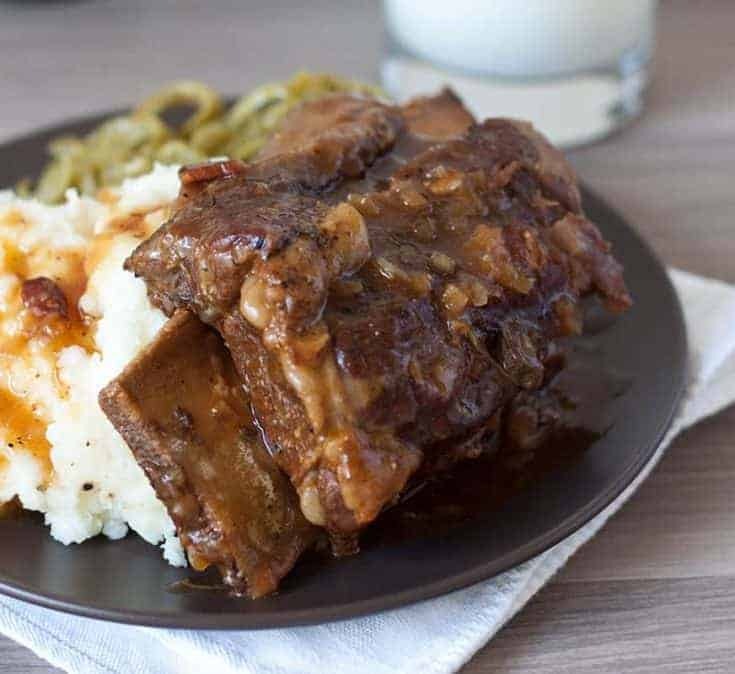 Serve this gluten-free meat over pressure cooker mashed potatoes. Hi Barbara, I echo the thanks for having these recipes in a collection. It really does help to have it in one place. From my experience, the availability of allergy safe products differs, depending on which part of the country (USA) you happen to be in. Many are available online as well, which makes it nice for folks who may not get out easily. One point I’d like to add would be that, if you are using an electric pressure cooker that you’ve used with gluten containing ingredients, please scrub everything with great care. Cross contamination can hide in the oddest places! Thanks for sharing your tips Leigh! Lots of wonderful looking recipes, Barbara. While I don’t need to eat gluten-free, I’m sure those who do, appreciate grouping all these recipes together so they don’t have to go through dozens and dozens of recipes looking for those that are gluten-free. I remember many years ago (probably at least 25) inviting some elderly neighbors over for supper. I knew the woman couldn’t have anything with gluten so I carefully selected the recipes I made. I also managed to find some gluten-free dinner rolls at a health food store – this was at a time when gluten-free choices weren’t ubiquitous. I think it had been at least 20 years since my neighbor had eaten bread of any kind. She’d only shopped at traditional supermarkets and didn’t know it was possible to find gluten-free bread. She thought she’d died and gone to heaven and I’m sure the rolls I’d served were the best part of the meal. I’m sure it must be wonderful to find that you can eat a version of a food you thought you’d never be able to eat again. Such a thoughtful dinner. It really is impressive how many gluten free products are available now. I’ve pinned this post to save for when we have our summer get together-this will really help me out a lot! Thank you Barbara! Thanks for sharing Carol! Isn’t it interesting how different we all are. Definitely a challenge to be wheat free but need the gluten. You’re so nice to cook for your neighbors and friends.